The Catheter Ablation Panel at the 2015 Get in Rhythm. Stay in Rhythm.TM National Atrial Fibrillation Patient Conference included presentations by Robert C. Kowal, MD, PhD, FHRS, Chair; Andrea Natale, MD, FHRS; Nassir Marrouche, MD, FHRS; and Sanjiv M. Narayan, MD, PhD. Why do more than PVI? Am I a candidate? How do I choose a procedure? Right-sided and then left sided procedure? Has stem cell research been considered? Video watching time is approximately 115 minutes. Click below to watch the video. by signing up for our newsletter (above). Learn about the next patient conference at Get in Rhythm. Stay in Rhythm.TM Atrial Fibrillation Patient Conference. Dr. Robert Kowal graduated from Yale University and received his MD and PhD degrees from UT Southwestern Medical Center. He completed his medical internship, residency and cardiology fellowship at Harvard Medical School/Brigham and Women’s Hospital and went on to study cardiac electrophysiology. He currently practices at Baylor Heart and Vascular Hospital. While performing a broad spectrum of device implantation procedures, from pacemakers to multi-lead defibrillators, his main focus is the management of complex arrhythmias such as atrial fibrillation and ventricular tachycardia. His approaches involve both non-invasive medical therapy and catheter-based ablation procedures. He has been and is currently involved in research on many cutting-edge technologies including cryoballoon ablation and FIRM mapping for atrial fibrillation, left atrial appendage closure and the role of renal denervation in the treatment of arrhythmia. He has taken a national leadership role serving on the Board of Trustees at the Heart Rhythm Society and is on the editorial board of several scientific journals. Patients from around the world seek treatment from Dr. Natale. A world recognized leader in the field of electrophysiology, Dr. Natale is a dedicated clinician, academician and researcher. Prior to the establishment of Texas Cardiac Arrhythmia Institute at St. David’s Medical Center, Dr. Natale was a member of the Cardiovascular Medicine Department at the Cleveland Clinic from 1999 to 2007, serving most recently as Section Head for the Department of Cardiac Pacing and Electrophysiology and as Medical Director for the Cleveland Clinic’s Center for Atrial Fibrillation. In 2006, Dr. Natale was named to the Food and Drug Administration’s Task Force on Atrial Fibrillation. A committed academician, Dr. Natale’s faculty positions at a variety of prestigious universities include Duke University and Stanford University. He has been an invited lecturer at more than 200 symposiums and conferences around the world, and is the author or co-author of hundreds of published articles on pacing and electrophysiology. In addition to serving on the editorial boards of numerous medical journals, he is editor-in-chief of the Journal of Atrial Fibrillation. Dr. Natale’s greatest reward is restoring his patients to a life free of cardiac arrhythmia. He pioneered a circumferential ultrasound vein-ablation system to correct atrial fibrillation and performed the procedure on the world’s first five patients. He also developed some of the current catheter-based cures for atrial fibrillation, and was the first electrophysiologist in the nation to perform percutaneous epicardial radiofrequency ablation, which is a treatment for people who fail conventional ablation. He also holds a patent for a device used to treat Atrial Fibrillation. A forefront researcher, Dr. Natale focuses on innovative advances in the treatment of atrial fibrillation. His goal is to benefit patient care through technologies such as robotic devices and specialized ablation catheters. Dr. Marrouche has dedicated his career to developing innovative research and clinical practices to advance patient care, diagnosis and treatment of heart arrhythmias. In 2009, at the University of Utah, he created the Comprehensive Arrhythmia Research and Management Center (CARMA) bringing together a cross-departmental team of physicians, scientists, researchers, MRI and imaging specialists dedicated to working collaboratively to answer the questions: What if we treated patients proactively instead of reactively? Moreover, what if we could predict and prevent a stroke in a patient before it happens? Under the guidance of Dr. Marrouche, the CARMA Center developed the Utah Classification System enabling electrophysiologists and cardiologists to deliver individualized care to arrhythmia patients. In addition to presenting his work across the globe, he is the director of the Western Atrial Fibrillation Symposium. Dr. Marrouche received his medical degree from the Medical School at the University of Heidelberg in Germany. Dr. Marrouche completed training in Internal Medicine and Cardiology at Klinikum Coburg, the teaching hospital of the University of Wurzburg in Germany. This was followed by a fellowship in Electrophysiology at the University of California, San Francisco. The Cleveland Foundation then offered a two-year fellowship in the Section of Pacing and Electrophysiology in the Department of Cardiovascular Medicine. After spending an additional three years at Cleveland Clinic as Associate Staff, he served as the Director of the Atrial Fibrillation Program at Klinikum Coburg for two years. Thereafter, he accepted a faculty position at the University of Utah serving as the Director of the EP Laboratories, Atrial Fibrillation Program, and later the Executive Director of the CARMA program. Dr. Marrouche's research interests include the pathophysiology and new imaging modalities for treatment of atrial and ventricular arrhythmias. Dr. Narayan is a practicing arrhythmia specialist (cardiac electrophysiologist) and Professor of Medicine at Stanford University where he directs the Atrial Fibrillation Program and Electrophysiology Research. Dr. Narayan has developed a very active research program to discover the causes of human heart rhythm disorders, and use that information to improve treatment. In that way, funded by grants from the National Institutes of Health for nearly 15 years, Dr. Narayan’s group discovered rotors in human AF, and developed an approach to treat them by ablation (Focal Impulse and Rotor Modulation, FIRM). This approach has altered the way that physicians think about AF, and has been shown to be very effective by many groups. Dr. Narayan is Associate Editor for the Journal of the American College of Cardiology and Journal of the American College of Cardiology: Clinical Electrophysiology Journal and Section Editor for Heart Rhythm Journal. Dr. Narayan trained in medicine and software engineering in England and became a fellow of the Royal College of Physicians of London. He was trained in neuroscience at the University of California Los Angeles, in Internal medicine at Harvard/Mount Auburn Hospital, then in Cardiology and Electrophysiology at Washington University in St. Louis. Dr. Narayan is board-certified in Internal Medicine, Cardiology and Clinical Cardiac Electrophysiology. Many of you offered to help us defray the high cost of videotaping, editing, and providing you these videos. If you can help, please click on the red Donate Now button, or you can make a secure tax-deductible donation here. If you have any problems donating, please contact us using our Contact link. Robert C. Kowal: So to kind of give you an overview of what you're going to hear from each of us, I want to introduce all the speakers now, and kind of the rough topic, so you can put it in a framework as you hear all the talks. I'm going to talk about the technical aspects of actually doing a pulmonary vein isolation procedure, which is the cornerstone of afib ablation, as it stands now, and talk about radiofrequency catheters and the other approved catheter, which is the cryoballoon catheter, which we use quite a bit. Hopefully I won't put all of you to sleep, but it is going to be, by definition, kind of more than you wanted to know about how this works. [00:01:00] The next speaker is going to be Dr. Natale. Andrea Natale was born in Italy and trained there and has been at Duke and at Lexington and now at — weren't you at Cleveland for years — and then now is in, sorry, that was 10 years, the 10 years we brushed by. He now does half his work in Austin and also San Francisco and also still in Italy. I first met Andrea 13 or 14 years ago, when I hosted him for a talk and really wanted to pick his brain because he truly, with Michel Haïssaguerre and a couple others, was truly one of the pioneers of this field. While I talk about pulmonary vein isolation, he's going to talk about the fact that that's only part of the story. In a lot of patients, that's not enough. He's done not only pioneering work in how to ablate the pulmonary vein area, but then how to find other triggering sites that are important to ablate, which is not easy to do. He's quite good at it. [00:02:00] The next speaker after that will be Dr. Marrouche. Nassir Marrouche is from Lebanon, trained in Europe, has spent a bunch of time in Germany, then trained with Dr. Natale at Cleveland Clinic, and then was recruited by one of my former mentors to the University of Utah, where he is now, and really has done cutting-edge research, asking the question, if I can paraphrase for you, on what role does the anatomy of the atrium play in this whole process, focusing very specifically at the role of changes in the tissue where fibrosis occurs. Fibrous tissue replaces normal tissue, and then developing a whole strategy behind how to visualize that, and then has taken it full-circle, asking the question, "Once we know what that anatomy is, can we guide our therapy based on it?” So that's one major area that really he has pioneered in the afib ablation world. [00:03:00] Then the last speaker will be Dr. Narayan. Sanjiv has done work in engineering, in neuroscience, in electrophysiology. He's been NIH-funded for many years. He has recently moved to Stanford, but has been many places and travels quite a bit. But he's come at this from a slightly different question/way. If I can paraphrase what you've been doing, I think it would be to say that, among the chaos and noise…I'm going to show you one of the slides of chaos and noise of afib… is there a way to find a window of organization among the chaos? I think if you summarize the work he's been trying to do, it is trying to find that needle in the haystack, that one area, or one of several areas, of signal among the vast array of noise. So that's another…he's launched yet another whole other area of research. [00:04:00] So they're varied topics. I think you'll come out of here with your heads spinning. We always do in our meetings. Then it also shows you what some of the cutting-edge work is, but also, it introduces the fact that there's a lot we need to learn. So it will be an exciting two hours, I hope. Hopefully we can get them all arguing with each other too, because that's when it's really, really fun. [00:05:00] Then Dr. Haïssaguerre in Europe, Dr. Natale, and some others, made some observations that, in fact, you could find single or multiple focus triggers that would trigger atrial fibrillation. This is depicted in this slide. What you're seeing is a 3D representation of the left atrium. The heart would be going back into the screen. The spine would be in front of us. These are the pulmonary veins. These vessels coming in are what drain blood in from the lungs, and these were found to be hotspots. They could have little firing sites that would trigger atrial fibrillation within the atrium. So, with this novel idea now, 17 years ago, that atrial fibrillation may not always be atrial fibrillation; it may be pulmonary vein-triggered arrhythmia. The reason for that is, if you did a cross-sectional cut through those veins, what you would see on the ridge is strips of muscle — these are little muscle fibers that have very cardiac-like properties — that could actually fire and beat, which was novel at that time. [00:06:00] So this is now a 3D representation of the inside of the left atrium. What you have here is the chamber. These are the pulmonary veins coming into the chamber. This is the mitral valve going into the left ventricle. This is the left atrial appendage. So when you saw that film earlier today of the Watchman device occluding the left atrial appendage, it's being put there. So now if we zoom in on one of these veins, the way to depict this is that there are muscle fibers depicted in red that go in and out of the veins, and then these little cross-fibers across that communicate. In sinus rhythm, there's impulses that go out into the veins and then kind of collapse and die because there's no more tissue to react. [00:07:00] But then in some patients, you can have a site on one of those muscles fire rapidly and exit the veins to trigger atrial fibrillation. The little circular marker there is what we call the pulmonary vein ostium, which is a term you might hear, or the area being called the antrum, which is our way of trying to define the border zone of where the vein ends and the atrium begins, which is not always easy to define. We can actually measure this. We can actually visualize this in the EP lab by putting in a catheter that has multiple electrodes, anywhere between usually eight and 20 at a time. We can make recordings of those activations in normal rhythm and then the firing. This is actually one of those recordings. So I'm going to walk you through this, and then you guys are all electrophysiologists after this. [00:08:00] So this is a P-wave. This is an electrical activation of the atrium in a normal beat. Then this is what we see as signal on one of those circular, what we call a lasso catheter, and that wasn't because it was designed in Texas. It's just called a lasso catheter because of its shape. This is a normal beat. What is going on here is this induction, this beginning of a chaotic activity that starts right here, the first activity starts right here in the pulmonary vein. That is pulmonary vein-triggering atrial fibrillation. When you see this, you know what the mechanism is. Unfortunately, we kind of rarely see this, but this is the basis behind this whole process of ablating afib through the years. So this led to the idea of, "Can we prevent the entry and exit of those signals from the vein?" The first step was to say, "Okay. Let's see if we can ablate those fibers." So you have the catheter there, and you can record, in normal rhythm, the entry point into the veins by recording those fibers. Those markers there are electrical signals as a function of time. [00:09:00] What you can do is make an ablation lesion at one of those early sites. What you'd see is that the activation, the timing of those electrical signals, would change. As you ablated this, this would be delayed. Now this site here, representing this fiber, was the early site at the vein. You'd ablate the rest of those. What you'd do is you'd get rid of all signals going in and out of the veins. That’s what, when you hear the term "pulmonary vein isolation," that's what's being done. You're getting rid of the ability for signals, electrical signals, to go in or out of the veins. This approach was something called segmental isolation, because you're doing it in segments, and it works pretty well. Dr. Natale was one of the people who, early on, said, "This is not enough." [00:10:00] That led to someone doing circumferential isolation, where we would do burning all the way around the vein. The idea there was, rather than kind of picking off piece by piece, you would get rid of the signals in one shot. Once you close that circle, you get rid of all the signals. That’s called pulmonary vein antral, or circumferential, isolation. That also works pretty well. That was tested in a study called the THERMOCOOL Study, which was the first study that led to FDA approval of a catheter for treatment of paroxysmal atrial fibrillation. This slide depicts that study. In this study, patients with paroxysmal afib, coming and going on its own, who had failed an antiarrhythmic drug, like flecainide or sotalol, were then randomized two-to-one, I think, to either a different antiarrhythmic drug or catheter ablation using a radiofrequency catheter that heats, and it is irrigated with saline for a variety of reasons, technical reasons we don't need to get into, but they're important, in conjunction with a three-dimensional mapping system to help us visualize where the catheter was. [00:11:00] Now, what you see in the next panel is the results of the trial. So this is something called a Kaplan-Meier curve. We see these all the time. You should learn what these look like because, as you look at data, it's important to understand. What this is is the freedom from having atrial fibrillation, where one is 100%, and zero is 0%, over time. What it really looks at is what percentage of patients are still free of the problem over time. It’s fairly sophisticated statistics, but what came out of this were two things. One, the drug therapy was abysmal. So once you failed an anti-arrhythmic drug, the likelihood of a second drug working is pretty low, 16% at one year. So it's unlikely to be effective. [00:12:00] Now, ablation was much better, at 64%, meaning about 64% of people were free of atrial fibrillation, predominantly. It’s tricky because, in these trials, they're very, very regimented. Thirty seconds of atrial fibrillation would be a failure, even though you might have come in with daily episodes of atrial fibrillation. So among that group that failed, the 36% that failed, there might have been people who were more than happy with the outcome, but by the technical rigors of that, only 64% were successful. So ablation was much better than drug in this setting, but there was still a lot to go. There was still a lot of improvement left to go. A lot of what our three speakers are going to be talking about is bridging that gap from the 64% on up. [00:13:00] Now, one of those gaps has now come out using what are called contact force-sensing catheters. So when you have a catheter in the heart, we're controlling it from outside the heart, outside the body. These catheters will give you tactile feedback by telling you how hard you're pressing, so if it's too hard or not hard enough. When you use those, that success rate can go up to about the mid-70% range, realistically. So that's been a huge improvement just from this procedure alone. But there are problems with trying to make a complete isolation process by going point by point. You can imagine. You'd rather draw a line than make a line out of dots. This is depicted here, and that is one of the problems. If you have a gap between any one of those ablation points, that's a setup for recurrent atrial fibrillation. [00:14:00] So one of the major reasons why people recur, other than having sites that aren't related to the pulmonary veins, is the fact that we don't always get the pulmonary veins isolated in a durable manner. The other aspect is this is hard to do. It's technically not easy. So while on a picture that I depict, it looks like this, in reality, the ablation points can look like this. If it's not complete, you can not only have repeat afib, but you can set up these little short circuits that are called atrial flutter. So some of you have heard about post-ablation atrial flutter. This is one of the reasons why it occurs. So we want to make tight lesions that are compact. Dr. Marrouche will talk about this in some of his work. But when you look back at patients who come back with recurrent atrial fibrillation, or even all-comers, a good percentage of those veins have reconnected. It’s not because operators are bad; it's just it's hard to do. [00:15:00] So this was one study, depicted by the pie chart, that as many as a third of patients who come back for a repeat ablation, even though at the time of their initial ablation the veins were isolated, a third of patients, none of those veins are isolated; another third, only one is. In fact, there was a study in Germany with non-force catheters, with the original catheters, where they took a group of patients and either purposely made gaps or tried not to make gaps in those circumferential pulmonary vein sites, and then brought everybody back. Seventy-percent of the patients had some degree of reconnection of their veins, and a lot of that is associated with recurrent afib, not all, but a lot. [00:16:00] So there's been a quest to figure out, among the whole process of afib, one aspect of the ways to improve this is can we get a better tool or another tool to help us get veins isolated. That's the rationale behind balloon-based therapies, which we've done some work with. The idea there is, if you can use a balloon to deliver energy in one shot or two shots, can you get a more contiguous lesion? The only device that's approved thus far is a balloon that delivers cryo energy that we've worked with quite a bit. There’s another one still in trial that is used to deliver laser energy, and there was one that did not work very well because of complications that delivered ultrasound energy in the past. So cryo energy is a little different from radiofrequency in that it freezes tissue instead of burning tissue. Because of that, it works a bit differently, in that the catheter sticks. So once it's frozen, it's stuck there during the lesion, and then it comes loose when it stops. [00:17:00] It does less disruption of the underlying structure of the heart when it destroys the heart cells where we're ablating. That can be good, but it also can have a flip side that when we use cryo as a point catheter, the recurrence rates for certain things tend to be higher than radiofrequency. So there's some pluses and minuses with the energy, but for this scenario, we liked what it has to offer. The way this is done, rather than making point-by-point burns around the vein, we have a catheter that has a wire. We put a wire in the vein. We inflate the balloon. We get contact all the way around, and then initiate a freeze lesion, and then do that again. This is a similar kind of what we call a Kaplan-Meier curve, looking at an almost identical trial, using the cryoballoon instead of a point-by-point catheter. Again, what you see is that if you failed a drug for afib, your likelihood of having another drug successful is very, very low. [00:18:00] But if you use this catheter, your success rate was about 70%. Now is 70% different from 64%? There's no way to know in something like this, because they're not head-to-head. What you know is they're at least in the range. We went on to look at the learning curve for this. What we found was something really impressive, that by the time you did your 12th procedure, your success rate was quite high. Now does this mean everyone who's done more than 12 cryo procedures has a success rate of 90%? Absolutely not. In the setting of a controlled setting of a trial, we saw a nice progression in the fact that you can learn how to do this well with a fairly low procedure rate. So since then, as there have been new generations of radiofrequency catheters, there are new generations of the cryoballoon catheter that are stronger. In green, what you can see is success rates around 80-plus-percent for paroxysmal atrial fibrillation, the earlier-phase atrial fibrillation. [00:19:00] So one thing we've been impressed with was going back to this issue of the durability of pulmonary vein isolation. This is, again, not a comparison of two trials, but I want you to focus. I presented the GAP trial with radiofrequency before. There was a recent study, called SUPIR, looking at cryoballoon ablation of paroxysmal afib patients, and then bringing everyone back to the EP lab at three months to see who had pulmonary veins still isolated. What was really nice was only 20% of patients who had cryoballoon ablation with the new-generation balloon had reconnection. Of all the veins, 91% of the veins remained isolated. So that's a big improvement. [00:20:00] What we've seen is the following, in our experience, using cryoballoon. This represents about the first 263 cases with the second-generation balloon, followed for over a year, 488 days. We asked the question, not freedom from atrial fibrillation, but freedom from the need for a redo procedure, understanding that that's a very subjective doctor/patient discussion end point. But we thought it was relevant because as we look at cost of care, needing a second procedure or not is an important one. What we found was that a repeat ablation rate was about 7%. When we looked at those patients, the vast majority of veins were still isolated. So that's one of the reasons why we've used this tool a lot for pulmonary vein isolation. When you look at complications of radiofrequency versus cryoablation, they're very similar; some way more than others, but they're similar in what can go wrong. [00:21:00] We can talk about that during question-and-answer. When I say it weighs differently, phrenic nerve injury that's transient is much more common with cryoablation than with radiofrequency, but it still can be there. There’s probably a little bit higher risk of esophageal injury with radiofrequency than cryo, but fortunately both of those are very, very low. I think most people have really diminished the damage to the pulmonary veins quite well, and we've been able to lower a lot of these. When it comes to using blood thinners after these two approaches, they're pretty much identical. Most patients are on blood thinners after these procedures, at least for short-term. The hard part is, while we feel that cryoballoon catheter is good for doing pulmonary vein isolation, there's very little information on using it for other aspects. So in patients who need additional lesions, when we come to the problem of what other catheters do you need to use, what other tools, and the cost of care. [00:22:00] So I throw this out, I present this to you so you understand when your doctors say, "Pulmonary vein isolation," what we're talking about, and the idea that there are different tools that work differently to achieve a goal, but it's not right or wrong to choose one or another. It fits into a framework, a bigger picture of what needs to be done with your ablation. With that, I'm going to stop and then move to Dr. Natale, who’s going to talk about other things that need to be considered in an ablation. Dr. Andrea Natale: There’s a lot of things that we're going to cover. I want to give you information that's really important for you as patients because there are a lot of different things that you see being discussed. So first of all, one of the critical things that makes a good AF ablation program is the volume and the experience of the operator. [00:23:00] This is where the field still is. Certainly, some of the technology that Robert discussed, like the balloon technology, helps in some way in bridging that gap. But still, experience is important in minimizing complications and achieving the best results you can with any tool you use. Obviously, the balloon is a technology that really does a good job for paroxysmal, but the moment you start having more things outside of the pulmonary veins, you certainly have limited success with that approach. Also, you need to make sure that the center has really a way to do the follow-up. So, there is a structure of people that are dedicated to that, nurses usually. [00:24:00] The doctor usually is supposed to be busy in the lab, so a team of nurses that work with you from the education to the follow-up, but also that are involved in really making sure the follow-up is done. This is an example of the follow-up that we have been using for many years, where patients are monitored with event recorders. Then, once they reach the critical end of the blanking period, if they're doing okay, then we establish a series of prolonged monitoring, usually seven days at a repeated interval. Now insurance is making that difficult. Also, the event of implantable loop has changed. You need to make sure there is a follow-up. Otherwise, whatever you are told is based on whatever is published, not based on the local experience of the center. [00:25:00] So, Dr. Kowal already mentioned about this. When it comes down to afib ablation, there is no one procedure that works for everybody. We're dealing with different patients and different substrates, and we talk a little bit about everything. So essentially the procedure you do is important. We talked already about the experience of the operator, but there are a lot of sort of different situations that we can encounter that make everybody different. So we'll talk a little bit about that. Robert already mentioned about this. In our group, actually one of the things that Robert mentioned was really the first to talk about this concept of antral isolation rather than segmental ostial. Over the years, we have learned that, yes, the pulmonary veins are important, especially in the paroxysmal group, but there is a variety of other structures, globally called the thoracic veins, which include the superior vena cava, the coronary sinus, the Ligament of Marshall, and then there are others. We'll talk a little bit about some of them because I think some of them are important in patients with nonparoxysmal AF. [00:26:00] People also talk about substrate modification. As you will see, I'm not a big fan of that because substrate modification means deployment of empirical lesion, which sometimes works because, by chance, you affect an area that can be responsible for additional triggers. This is what our data suggests, but it's probably not the best approach, and now there is more data out there from properly-designed randomized studies. So what do we target? So let’s start off with paroxysmal. Robert already mentioned about the pulmonary vein. One concept I want to explain to you, what he already mentioned, is the idea of the antral isolation. The antral isolation was considered not just because we wanted to avoid pulmonary vein stenosis but because we had clinical data. I’ll show you two, one from a randomized study from Germany, showing that antral has better result than ostial. But also, we went there for three reasons. There is an embryologic reason. [00:27:00] There is an anatomical reason. If you look at intracardiac echo, which our group was the first to promote, you actually see very clearly that the ostial isolation really doesn't include the posterior extension of the vein, which we call antrum, which you see there, outlined by the solid line. We also heard about circular mapping. Another important thing about pulmonary vein is the way you do it. It's not just about deploying a lesion around the pulmonary vein to make an effective isolation; it's the way you do it. What the consensus document endorses is verification of isolation with circular mapping. Why is that important? So you see that you have two procedures that look exactly the same. If you see the lesion deployment, it looks similar, but they are very different. In one, the one on your left, isolation was verified by circular mapping. [00:28:00] The one on the right, which is called CPVI, the lesion end point was assessed by the same catheter that was used to deliver energy. So this is a procedure that some of you may know as the Pappone approach. Well, when you deploy lesion in a circular fashion without using the circular mapping catheter, after the deployment of the lesion, the recording with the circular mapping catheter can look exactly the same as you see here. So although you deploy a lesion in a circular fashion, the veins are not isolated. This is something that actually many of us that tried have seen quite frequently. This is actually a randomized study, comparing the two approaches, showing this much success at follow-up with the CPVA approach, 20% off antiarrhythmic drugs. So this is something I want you to understand. It's not just about doing something that looks similar; it's the way you do it. So as I mentioned, in our lab, we always talk about antrum as something that involves the posterior wall between the veins. [00:29:00] Why is that? As I mentioned, we have imaging data from the eyes, looking at real-time. We have clinical data. This is actually a paper that Dr. Marrouche published when we were in Cleveland, showing that when you do the ostial, and you challenge patients with a high dose of isoproterenol, you see more proximal triggers in a vast majority of those patients. That was sort of clinical information that prompted our group to do that, besides what we saw with imaging with eyes. Another thing is that — this is from another group in Taiwan, showing the same concept — we can see that, embryologically, the posterior wall and the pulmonary vein come from the same class. So, it means that if the pulmonary vein can fire, so can the posterior wall between the veins, because it is the same group of cells that give origin to that structure. [00:30:00] There is also data from the surgical literature. I like to show this. You’re going to hear Dr. Damiano and Dr. Edgerton, probably the two surgeons that I really trust because they're probably among the few surgeons that have really done a good job in monitoring their patients; they're very honest. So Ralph feels very strongly about the posterior wall. This is some of his data. I think some of his more recent follow-up still strongly supports this approach, which is very similar to what we've seen in our experience. Rob already mentioned about this, so I'm not going to spend too much time besides saying that this, together with the balloon, is another technology that comes to help me be a less experienced operator and still do a better job. In fact, in this study, when operators stayed in the working force range, at least 85%, 80% or more of the time, success rate was stable around 80%. So this is important. [00:31:00] We also look — this is a study we did in Europe — at what happens to people when we prove that the antrum is isolated. We look at two definitions of antrum, what most of the people do, which is sort of a larger circumferential versus ours. So you have this sort of standard of antrum versus ours. We look at our approach. This is the Kaplan-Meier Curve that Rob mentioned before. So the one on the top is the posterior wall. So over time, there is a benefit by doing a more extensive antral isolation. It’s not huge, but it paid off after a few years follow-up. But despite that, you still see a significant number of patients, and those are all paroxysmal, that over three years, have recurrence, despite that we’ve proven that the area we targeted was isolated with a repeat study. So those recurrences are coming from non-pulmonary vein triggers. So this is even in paroxysmal. It happens sometimes over time. [00:32:00] We actually again, to give you this idea because I think you need to know that, when we look at 10-year follow-ups in patients that have been doing okay for two years, we actually have seen that 13% — actually, now we wait a little longer — up to 20% of the patients develop recurrent atrial arrhythmia despite that the pulmonary veins are isolated. The presentation can be flutter or persistent AF or paroxysmal AF. Those are people that have done okay for between two to more than 10 years. We've seen that the most common targets of recurrence are either the coronary sinus or the left atrial appendage. This seems to happen that the risk factors in this series were female, left atrial size, and the pre-existing scar, and you will hear this more and more. [00:33:00] This is an example of one of these patients. When he came with his recurrence after many, many years, his posterior wall and pulmonary veins are isolated, and he had triggers — actually it was a she — from the left atrial appendage. So let me go quicker. I don't want to spend too much time. Let's look at nonparoxysmal. As I mentioned, we do the pulmonary vein and the posterior wall. I already told you why the posterior wall so I'm not going to spend too much time — embryologic reason. We have data from the surgical leadership. What about beyond that? I think, at least in our experience, we've established that that's a must in everybody. So what about beyond that? How do we go beyond that? As anybody, we look at the CFAE. Actually the CFAE, early on — it is a multicenter randomized study — shows some benefit with a single procedure. In meta-analysis of those sorts of post-hoc analysis, pulling together all the studies with the same group of patients, sort of supported it. [00:34:00] In the nonparoxysmal, the CFAE could have some benefit, not the same in paroxysmal. In paroxysmal, there was no benefit. But in the nonparoxysmal, there was. Then you heard, I'm sure, about STAR-AF II showing that linear lesions of CFAE had a very similar outcome as the antral pulmonary vein isolation. However, you see a lot of recurrence there. They are the same. People can argue that maybe this operator was not very experienced, or they did not know how to deploy linear lesion or do the CFAE, but the bottom line is, with all three groups, there was a similar outcome. But still, you have almost 50% of the patients still coming back if you look at the end of that survival curve. When we looked more recently at this group, we have seen that the CFAE do have an early sort of benefit, but it's not durable. [00:35:00] The group that actually does the best long-term is the group where, once we've done the posterior wall and the pulmonary vein, we really spend a lot of time going after the non-pulmonary vein triggers. This is the group with the green line on top. The long-term follow-up does the best. The middle, in red, is the CFAE. The one at the bottom is just the posterior wall and pulmonary vein. So, in the long-term follow-up, the only group that does better is the group where we really spend time doing it. Attention to triggers is what has become the standard in our lab and all the people that work with us. This is an example of what I mean. This is a patient that had the posterior wall and the pulmonary vein isolated. Every time he stops his antiarrhythmic, he has a recurrence of organized atrial arrhythmia that, in this case, was coming from a trigger at the red spot at the top of the roof that you see there. That was a few more lesions to abolish the trigger, and the patient has done okay. [00:36:00] This is the reason why I don't believe about this idea of the substrate, because substrate means just empirical deployment. This is a patient that already had a lot of substrate modification, but because there is a trigger outside that area that was targeted, we still have a recurrence. So those few isolations we deployed I don't think make a difference in an effective substrate modification versus not. Which are the patients where we have to be more watchful about this? Severe left atrial scarring — Nassir will talk a lot more about that; nonparoxysmal AF; females; sleep apnea and obesity; LV dysfunction; and older age. I'll show you this paper that we published in Octogenarian showing that even in the paroxysmal group, when you reach 80 years, and in females probably sooner than that — about 75, between 75 and 80 — the prevalence of non-PV triggers in the paroxysmal group is more than 60%, which means that if you just do the pulmonary vein, you're going to have barely 40% success in that group of patients. Those are straight paroxysmal, no other risks. [00:37:00] Obviously, when you look at the nonparoxysmal, especially the longstanding persistent, it's virtually everybody. In the persistent group, we have a mix. We'll talk a little bit about that. What are those non-PV triggers? The most common location is the coronary sinus. The second most common, in our experience, is the left atrial appendage. Then, interatrial septum, crista, and a variety of other locations. Another issue that I think is important, that our community has neglected, most of the people that look at non-PV triggers, they go after only triggers that reinitiate sustained arrhythmia. Well, we have learned that that's not enough, especially when you use general anesthesia. You need to go after non-pulmonary vein triggers that are non-sustained, so consistent PAC, short bursts of tachycardia. This is the data that shows that. So if you ignore those non-sustained triggers, your success rate, the bottom line, is going to be very low. [00:38:00] So those mean something, especially if you use general anesthesia. How do we sort of make those things going crazy? People have used different things. Isoproterenol high-dose is the most successful. High-dose means 20-30 mcg for at least 10 minutes, maybe 15. If you do 2–3 minutes of 5 mcg, it's a placebo effect. Adenosine, very rarely, sometimes. Pacing, and pacing not to induce flutter, because with pacing, you can induce a lot of non-clinical atrium flutter; pacing to induce afib. Keep the patient in afib, cardiovert, and then hope that that sort of activates those triggers. So it's pacing more to induce AF. We do that if we have not good luck with isoproterenol or adenosine. These are a few examples. Most of the time, at least at the beginning, when you see this trigger firing, once you're done — usually we do that once you've done the posterior wall and the pulmonary vein —they are, most of the time, rapid but organized arrhythmia. [00:39:00] This is why, if these people have recurrence, they're going to have organized arrhythmia, not just because there are gaps, but also because once you have isolated the posterior wall and pulmonary vein, they sort of sustain in a more organized fashion. This is post adenosine. From this sequence of activation, this looks like something that starts from the right atrium. Then another issue is what is the end point? So when you find the trigger, do you just ablate focally, or do you have to do more? So there are a couple of sites where focal ablation doesn't work, and I'll show you which ones. Certainly the superior vena cava is one of them. We had data from a randomized study that we did with a group in Italy showing that, at least in paroxysmal, it paid-off to do empirical superior vena cava isolation. This is to show how we do it. We use the ICE. We put the circular catheter at the lower level of the pulmonary artery, and that's a good site to isolate without affecting the sinus node. [00:40:00] Isolation is done the same way we do it for the pulmonary vein, until everything becomes silent above where you put the lasso. Another site that I mentioned is the left atrial appendage. When we look at this, by just focusing early on to redo people that take 1–2 procedures, they come back in with the pulmonary vein isolated, so we've seen this to be the reason for re-initiation of sustained arrhythmia in about 27% of the patients. Now we have learned that we have to go after, as I mentioned, also the non-sustained firing from the location. But when we look at sustained arrhythmia, it was 27% of people coming for redo. What we learned is that if we do focal ablation, even more than focal ablation until the activation of the appendage is delayed, that's not enough because those people eventually come back. It can take six years, sometimes one year, but they always come back. So we learned that, unfortunately, isolation is the best strategy. [00:41:00] Isolation has implications in long-term ability of discontinuing Coumadin. But if you are continuing to have arrhythmia, you're going to be on a blood thinner. So it's not trading off one problem for another. If it's important for the patient to get rid of the arrhythmia, it doesn't matter what you need to do. We have data now from a non-randomized consecutive series in longstanding persistent showing the benefit of empirical isolation of the left atrial appendage. Now we just finished a randomized study, called BELIEF, in longstanding persistent where we randomized patients to empirical isolation of the left atrial appendage with the first procedure versus not. We just looked at the one-year follow-up, and we submitted this data. So we'll see. I think at some point, you will see this information out in the literature. Ligament of Marshall is another potential target. Usually it's done by occluding the Ligament of Marshall and then injecting ethanol. [00:42:00] You start from the distal component to the more proximal. This approach was sort of promoted by Dr. Valderrábano. We’re actually now with him doing a randomized study, sponsored by NIH, in persistent patients and we'll see what the outcome is. The challenge with this approach is that cannulation of the Ligament of Marshall is not easy. Sometimes it takes just another hour just to do that. We have a significant number of patients where we could not do that, even after struggling for a while, but we'll see what the outcome is in the study. Coronary sinus. I mentioned this, and this is a typical patient that actually looks like, with the pulmonary vein antrum, had the best outcome because his atrial fibrillation stopped by doing the antrum; but then, when we gave the 20 mcgs of isoproterenol, there he goes — he goes back into fibrillatory activation with firing from CS3 and CS4. [00:43:00] You see that sort of little fragment very early as this restarts. This is another example of a short burst of arrhythmia from the coronary sinus. The CS is another structure where focal ablation doesn't work well long-term. I had an example that I want to show, but we didn't have time, but this is another structure, like the appendage, that when you see firing, if you do focal ablation, it's not going to work long-term. So isolation can become the best strategy, but it's not trivial. It can take, just for that, like for the appendage, more than one procedure in almost half of the patients because of the way you have to deploy the lesion to avoid complication. So Nassir is going to talk about this. This is a very old study, showing that in patients with scars, if you just do the pulmonary vein antrum, success rate is dismal. Nassir will talk about that. [00:44:00] But what does it mean? Does it mean that those patients should not be considered for ablation? No, it means that pulmonary veins are not enough. Even pulmonary vein antral isolation is not enough in those patients. We actually have data from this study, showing that even in paroxysmal patients, if you take the group with severe scarring, and you do just a standard PV antrum — this is an example of one of those patients — if you just do the standard PV antrum versus the PV antrum plus aggressive elimination of non-pulmonary vein triggers, there is a big difference. So the group with the PV antrum only is virtually 80% recurrence of follow-up, whereas the other group does a lot better. So when you see severe scarring, it doesn't mean don't do the ablation; it means make sure that the person that is going to do your ablation is comfortable with going beyond the pulmonary vein, because that's really what those patients need. This is something — obviously this is a group of paroxysmal — but becomes much more prevalent in the nonparoxysmal patient. [00:45:00] We also, like we did with the paroxysmal, in the persistent, we look at the benefit of doing just the PV antrum versus the non-PV trigger, and you see the difference. This was just presented recently at the AHA meeting — the American Heart Association meeting — showing that with a single procedure, going after the trigger beyond the pulmonary vein antrum in the dotted line paid off in the long-term freedom from AF, off drugs. Those groups were off drugs. In the persistent group, we also looked at the same things I showed you before with the paroxysmal. We looked at so what if we prove posterior wall isolation? How is the follow up in those people? [00:46:00] So I'll show you here. This is the cascade, people that came back, even if they were doing okay, were restudied until we proved that the posterior wall was isolated versus the sort of the antral. Then we looked at the follow up off drugs. I'll show you the Kaplan-Meier. So even when you have isolated the posterior wall, which is the top line, the success rate is better than just doing the pulmonary vein antral leaving the posterior wall intact. But you still see a significant recurrence at follow up, almost 40%. So it means that in the persistent patients, there is a group that can do okay with the extended antrum isolation, but there is a significant group of about 40%–45% that needs attention to the non-PV trigger. When we go in the longstanding persistent, this number means goes to everybody. Now I think Sanjiv is going to talk about focal sources. I want to mention a little bit about this. I think we're all excited about being able to do better, especially in the nonparoxysmal patient, with less ablation. [00:47:00] I'm not going to spend time on how this is done because Sanjiv will show you that. What I wanted to tell you is that, yes, it's good to be excited, but at the end, we still need good, solid data, which are not there yet, from multicenter randomized studies, to prove that this is sort of the way to go and the way to do that with different patients, so in the paroxysmal and the nonparoxysmal. The same is true for this other approach that is being developed by a company called CardioInsight and has been tested in Bordeaux. They use a vest and from the outside map these focal sources. Then beyond doing the pulmonary vein, those sites are ablated. This is to give you an idea of the spread of the sites. Also, so far, this approach has been tested only in consecutive patients. It is not a randomized study. Without a randomized study, it's very difficult to know what that does for your patient because you can select patients. [00:48:00] As I showed you, they are persistent, they do okay with pulmonary vein antral isolation, but it doesn't work for everybody. So if you don't have a randomized study where patients are allocated to different procedures in a random fashion, a consecutive series, it doesn't mean much. I want to spend one word about this [hybrid approach] because now we see a lot of patients that, after they fail one procedure, or even without failing one procedure, they are offered the hybrid approach. This is an example. The hybrid approach, for the most part, tries to target the posterior wall beside the pulmonary vein, which I believe is successful, but we actually — our group was the first to consider that not in just everybody — I don't think this should be done in paroxysmal. We used it in longstanding persistent. We stopped doing this because we did not see an increased success rate. Yes, our group has a lot of experience, so it might be different in somebody else's hands. But also, we saw a higher rate of complication. So, therefore, I don't think there is any role for a true hybrid. [00:49:00] It doesn't mean that people should not have surgery, but do the surgery; then, if the surgery doesn't work, two, three, four months after, you go and have a catheter ablation to touch up whatever. The hybrid approach, which means that the same day you have both the surgery and the catheter procedure, increased the rate of complication. It is a logistical nightmare. You are going to be under general anesthesia for probably 10 hours or longer because you're going to be under general for the surgical part and for the catheter-based part. I don't think there is any role for the true hybrid. There is a role for surgery. Then if the surgery doesn't work, months later, you have the catheter procedure. Well, I'm not going to show you this, and not even this. [00:50:00] Let's go to the end, which is the summary of what I told you. Yes, the pulmonary veins are important, mostly in the paroxysmal. But as we move in the nonparoxysmal group, the presence of other sources of atrial fibrillation becomes more and more important. They need to be addressed if you wish to achieve a high success rate off antiarrhythmic drugs. So this is a summary. Adjunctive strategy to either PVI or PV antrum, which includes linear lesions or CFAE — only a short-term increased success in patients with nonparoxysmal AF. Isolation of the pulmonary vein, although insufficient, is important. So even if it's not all of it, it needs to be done; but in the nonparoxysmal group especially, it's not the end of the story. [00:51:00] In that group, identification of a trigger outside the antrum with high dose of isoproterenol is important to achieve a long-term cure of atrial fibrillation. The role of additional targets — this is very important for you as a patient — needs to be verified in properly designed studies. So after all, it's important to have the right tool. The right tool is different in everybody, in different hands. So Robert mentioned the cryo. It's a good tool for certain people, as long as it's used properly, so for the paroxysmal patient, not for the nonparoxysmal. It’s also important to keep your eye on the target, because it's not just about one target in many patients. Thank you very much. Nassir F. Marrouche: So you heard from Andrea and Rob, two major players in the field of afib. Andrea Natale, I did my fellowship with him, and worked there for a while. You see how many approaches — we're still trying to debate what's the best way to ablate atrial fibrillation. How many in the room here today had an afib ablation done? [00:52:00] Raise your hand. How many have afib as a disease? So I would say half of you have been ablated, and the rest is still waiting for Andrea's waiting list probably. Right? That’s the status. So what I want to do today, I want to share with you the substrate. Obviously, one positive of this afib concept we all know about, the atrial fibrosis, or atrial substrate, is how we use this and manage this, and what we learned the last almost 10 years now in Utah since we left Cleveland. Andrea showed you a slide that's a very important slide, this CARTO map. You know what a CARTO map is; it’s a 3D image reconstruction with the scar. We knew this for a long time when we were in Cleveland. We got these hearts, and there's so much scarring, and what Andrea's trying to say, "It's the triggers — there's something — look for triggers," which is true. There's something going on that we don't know yet. Sanjiv will talk about the rotors. But I want to show this — why this concept of MRI? [00:53:00] MRI obviously is easy to reproduce. It's a very great instrument in detecting soft tissue, and that's why we focus on this. So I talk about how we image the fibrotic changes in the hearts. Everybody in this room — the people who raised their hands, and the people who did not raise their hands — they have different hearts, different anatomy, and different structures, and risk factors and comorbidities that define us where we are today. These changes are happening now. So when I talk about this, how we predict treatment outcomes, not only afib ablation, which is … Sanjiv just shared with me the latest number is 150,000 people ablated in America every year — by the way, 10% are ablated by Andrea in Austin, and the rest of the United States. But anyway, it's 150,000 out of six or seven million afibbers. I think if you look more into the hearts, we start defining, convincing you I think to ablate earlier than later, based on the structure and the tissue changes. [00:54:00] I think this could be half-a-million to a million people that we can help early on in the disease progression. I want to show you some data and how we're using a treatment target, and this is in the process, hopefully, of being standardized. So this is the way we do this. This is a paper published last year. So you see this from the screen, we do an MRI scan. By the way, this was 10 years ago — it was only in Utah. Now, just ask for it — Siemens and Philips and GE can offer this. But this is an MRI scan that you do a specific way to look at the atrial wall, the thin atrial wall seen here. We define how much damage we have. So the summary is seen in this slide. It's green and whitish, gadolinium, or cleaning up or flow — this means more diseased tissue. The blue is healthy tissue. So this is how we detect it, using that sequence. If you want to look at it further, this is a paper published — actually, there are 28 papers published describing this way, from other labs as well. [00:55:00] So this is an important paper, one of the most important papers, that we published from our lab describing this, because this correlated open heart surgery findings to the screens. So these are tissue from patients who underwent either mitral valve surgery or bypass surgery, whatever it is, and then we took biopsies from these areas to correlate the findings to what we see in MR.
You see this is a control (no-afib) patient, and this is a patient with atrial fibrillation. So this slide, the paper published by McGann two years ago, that's showing that this is what we see, changes that are fibrotic. The more green, the more dense the fibrosis, the more dense the changes in your heart; the less green, the less changes are there, as you see here, for example, less. This is a healthy area where there's no fibrosis. Again, this is one of the most important papers we published because we correlated these findings. Before, we were relying just on outcomes and seeing what this means based on outcomes of patients, but now we have a solid correlation. [00:56:00] This is an important slide. This is a collection of patients from our DECAAF study that has been published — I think part of the study has been presented, as well — not only in JAMA [Journal of the American Medical Association] but recently, showing these different variations. These are different patients with afib. There are two I always try to highlight — this one here, which is an 82-year-old man who skied in Utah and had afib for two years. Because of his age, he was turned around (and he's not close to Austin to be ablated because Natale is not there). They've been giving him amiodarone for two years because he's old, and they gave him blood thinners. But this guy has little amount of fibrosis. He’s been in afib for 2 years, and stopped skiing because he's scared of maintaining Coumadin; he could not ski. But we ablated this guy because of little changes. [00:57:00] This is a 51-year-old woman who is running marathons and came with afib. I’m not saying this lady should not be ablated, but look how much damage she has in her heart already. This is a lot of fibrosis. The reason why MRI works on these patients, and this is very important, is because the patients with afib have this patchy pattern of changes. So, this scar is patches. You see that in this slide. Rarely, you see the whole heart is diffuse or fibrotic — there's always area left behind. That's why MRI works, because gadolinium slows down certain areas and washes out other areas, so that's why it's easier to see using MR. But anyway, this is the pattern you have to think about when you're dealing with an afib patient, as well with non-afib people, because we have a study now coming out showing even people without atrial fibrillation have scarring and what that means. You have to wait and see what it will mean long-term. But this is a time to share with you, briefly, how we image this, and how the hearts of afib patients look and fibrotic tissue, the amount of fibrosis. People with persistent afib have more changes. [00:58:00] But still, people with early changes, half of them have persistent and half of them have paroxysmal afib, and this has been shown a couple times already. The next thing I want to talk about, how we look at this and predicting treatment. The amount of fibrosis — I think we showed this from intracardiac mapping from Andrea, where we did a CARTO map and predicted outcome based on amount of scarring when we go into the heart. But how can we do this before we go into the heart, predict outcomes of ablation? There are a couple of papers presented from our lab looking at this, but this is the DECAAF Study, where it's multicenter. We looked at patients based on four stages. People have little changes in their heart, and people have more changes, and more, and more — so 10%, 20%, 30%, or more of fibrotic changes. [00:59:00] We tried to understand how this predicts the outcome of the afib ablation. The majority of patients had PVI, 70% of these patients, 73% of these patients with paroxysmal afib. The outcome of the studies, shown here, that the more scarring you have, the less the chance of staying in sinus. We call it stage four, Utah Stage Four. The less fibrosis you have, the better chance to stay in sinus. This is looking at persistent and paroxysmal. You can see, DECAAF had four stages as well in both groups, although Utah 4 and Utah 1 are widespread, and the rest is in the middle. So we learned that the more fibrosis — this is what we confirmed in DECAAF, and we tried to do in our study; I'll share of that with you later — fibrosis before ablation has been known for years — the more scarring, the more damage, and the worse the outcome. So what's the solution? You have to wait to see. Andrea said that non-pulmonary vein triggers and appendage isolation could be a solution for these patients. Do something, ablate the AV node. I don't know, but this patient seems to be a struggle for a lot of people, and maybe should be looking more at — I'll show you some slides about — rotors and mapping these patients’ non-pulmonary vein triggers. [01:00:00] But keep in mind, the more fibrosis you have, the chance of being successful today is less. This is the data from our lab for six years' follow-up using this fibrosis predictive value with a single ablation procedure. You can see Utah four, or stage four, the success rate is only 8%–9% after six years, or five years' follow-up. That's continued the curve to spread. Everybody recurs, as you can tell, but the recurrence rate in early stage is not as much as the later stage of disease, as you can tell from this slide. So how do we apply this during treatment? We learned a lot from DECAAF. We've been doing this ourselves and looking at our data, but DECAAF taught us a lot because the DECAAF study is multicenter — as I showed you, there were 15 centers involved from the world map — these are very experienced ablation centers involved in DECAAF. [01:01:00] We did not only blind the operator to the type of fibrosis image before the ablation so they would go and do their ablation the way they do it — whatever is done. Is it done in Bordeaux? Is it done in Philadelphia? Or done in Chicago? They would do the ablation the way they want to do it, and they follow the patient. Then we looked at three months after the ablation. If you had an ablation, we took you back to the lab and looked at the MRI scan to see this red stuff. The red stuff are the lesions, the ablation lesions. So nobody can tell us, in that ablation, where the ablation was done. You can tell here. This patient has lots of posterior wall ablation, as you can tell, the antrum isolation Andrea talked about, the posterior wall debulking, and isolation of the vein, you can tell from here. So we looked at these patients. We had a series of patients, and we analyzed what the lesions mean. Now keep in mind, we did not put in the catheter to confirm at three months if the patient was isolated or not, but the operators try to do isolation on everybody. [01:02:00] This is a paper just published recently in JCE [Journal of Cardiac Electrophysiology] as well. So if you look, this is a collection of patients from these experienced labs in the world, and these are lesions. So I'm showing you how the people ablated. I have to confess, though, Andrea Natale is not part of this, so you don't see all the lesions there. So see this here. This is the stunning thing for us. Most of the patients don't have lesions on the posterior wall. I mean the antrum is isolated on the veins. By the way, this is a cryoablation patient. This is a cryoablation patient, and this is a cryoablation patient, and this one, and this one. You can see the lesions. Let's keep in mind. Rob talks about these great hands. If you have a cryoablation, you have to have a great hands operator because the lesions, otherwise, were inside the veins. So you have to adjust them to be outside; maybe the new balloons will be better. [01:03:00] You can tell. But the right side — this is looking at the atrium from the back; we're standing behind your back and looking forward — so you see the right side, the right antrum, there’s almost no lesions in most of the patients. You see that? That's interesting. So all these guys tried to isolate the veins in these patients. Keep in mind, as I said before, 73% of these patients are paroxysmal afib. If you look at how many of these patients — I think Rob showed the same data in his chart —it's only 7% of these patients, 6.7%, have all veins encircled with ablation lesions that show on this slide. So again, the operator never knew that they did the ablation with the CARTO or ESI points or the balloon, and they were sure those were the veins, and that's what we expect them to do, but the key is that only 7% of the people who underwent PVI had encircling lesions on the veins. [01:04:00] But what we found in this study, which was interesting for us, is that something called the residual amount of substrate, or fibrosis left behind — I'm showing you what we saw in the study; now what that means, physiologically, is the next stage; I'll show you some more data, but this is what the study showed us — the best predictor of outcome in DECAAF is how much of this fibrosis disease there is early on. So we took the diseased tissue and we superimposed at three months. We told the operator what did they ablate. We looked at the MRI, and we put this lesion on top of the diseased tissue with the green. We looked at the residual area of disease that initially was there, and that was the most powerful predictor for outcome in DECAAF. So the more ablation you do, you can say, "If I do the appendage, like Andrea showed us, and I do the posterior walls, I'm covering more of this area." You can see now that I'm covering more triggers with this, physiologically, again, or rotors as Sanjiv will show you. The bottom line is, the more you leave the veins and ablate outside, the better the outcome. That's what we learned. And, as important, the more you leave those, the worse the outcome. [01:05:00] So we learned that you have to cover this tissue, for whatever reason, but believe that's important. So what we recently learned — this is very important for everybody in the room and then for us, as operators — is the progression of this fibrosis, what that means. There’s multiple reasons why this happens. Right? So some of you will have afib, and afib begets afib, and afib gets worse, electrical remodeling. But what about the tissue changes with time? We learned a lot from this here, using multiple MRIs in our patients when we followed them. This is very exciting for us. We're looking at multiple MRIs. You see in this side of the screen here, you see first, second, first plus second residual. You can look at the software and add the MRIs of this patient over the years they have seen us. What I'm showing you here is this is a patient that had an ablation. Three months later, this is the lesion, or six months later. You start scanning them, like 18 months. You can choose the timing here, 18 months or 12 months, whatever. You start seeing new green stuff coming up in some patients. [01:06:00] This is summarized in the next slide. So this patient had 11-months' MRI, showing the lesions the same as before, and 23 months, this little green came in addition to the old MRI scan. So this patient is doing well. This patient has no progression of fibrosis, stable, doing fantastic, no recurrence. Usually we see this a lot. The patients that are worrisome to us, and seem to be a problem, are the people like this, where you have the MRI, you see the lesion, but they come with a recurrence. The reason I'm showing you this — now we're using this to assess the recurrent patient, what to target. Obviously we have to start looking outside the box as well, but key here is that this patient has new areas here, and he had an afib recurrence here, 25 months later, not 18 months later, but you can see the amount of new fibrotic tissue that wasn't there before. So we have to factor this in when we take the patient back to the lab and understand what that means. Again, non-pulmonary vein triggers, rotors, something else going on, or maybe the appendage ablation. [01:07:00] I don't know, but what I'm showing you is how the tissue is behaving in these patients when we follow them. Okay. This is tissue changes. This is another example with a guy three months post-ablation; you can see the lesions here. Six months later, he has additional 7% fibrotic tissue, but 10% are new areas outside the lesion set. This seems to be a problem. You can see from this next slide, when we looked at three patterns of changes in the heart in the afib patient population, after we ablate the hearts. One is the patient that has a new. You see the ablation scar always recovers. There's some recovery ablation scars three months versus long time. The heart rebuilds itself, but some people build the new fibrotic changes in green. Some people have a progression of fibrosis, like you see on this one here on the progression side. And one is recovery. [01:08:00] The recovery ones, you see there's no new fibrosis, and the lesions are covered. But the upper two, wherever you have new green bars in your fibrosis, it seems to be a challenge going forward. So we're doing a big study looking at that factor in recurrent patients now, as we speak. Very important for you, atrial fibrillation has a lot of problems, not only quality of life, stroke, and so on, but the ventricle is a part of the process, which all of us worry about. There is LV [left ventricular] dysfunction. But we’re realizing, when looking at the MRIs — I call it an open heart surgery without opening the chest; I know Dr. Damiano will be upset with saying that — but as we take the heart out and look at the tissue changes with the sequence we're using in Utah, we’re looking at 1.25 millimeter thickness, so we get a lot of details. We're realizing we're seeing these kind of patients. This is a study that's been shown already, where it's correlating the ventricles’ LV dysfunction with more fibrosis in the atrium. [01:09:00] This is Dr. Akkaya, published in JCE, which is kind of a known fact — we know the afib LV dysfunction patients do well, but this can explain in fact more disease. But what we're finding is these guys who come to see us who have no ventricle changes, have no ischemia — they have normal hearts. You see something like this. It is incidental lesions in the ventricle. So it has been shown, actually, by a group in Boston, that they predict strokes. We showed this as well. So we catheterize a patient, this kind of patient. We see the atrium and the ventricle are localized disease. We have nothing in the ventricle. Look at the fibrosis thresholds, you have other thresholds, and there's no changes — well-perfused, beautiful ventricle, pumping quality, no problem. You see these kind of patients as well in this patient where you have lesions in the ventricle where nobody knew about — no serious ischemia, very good pump — but you see those changes on gadolinium enhancement. We call it incidental find. [01:10:00] So, we started calling them the atrial and ventricle diffused myopathy versus atrial localized myopathy, or atrial myopathy. This is important. It not only showed the incidental finding from other labs, but our lab showed also. This is a paper coming out in JACC [Journal of the American College of Cardiology] Imaging that Dr. Wilson is publishing. This is another example. Two people with normal LV function — one has this kind of ventricle with afib, and one has nothing. They have to mean something. The ventricle is involved in a way, and we have to take this seriously. This is 9% of our population in Utah — 9% of the patients have this kind of finding. Again, no ischemia, no massive heart attacks, no myopathies in the past. This seems to have predictive value for outcome. The ventricle seems to play a role. It seems to correlate, but it seems to play a role. We have now the data, the multiple cardiovascular risk factors data, other paper coming out showing correlation as well. So now we're looking at, obviously, five, six years. We look at mortality data. That's part of the DECAAF II study as well. [01:11:00] Keep the ventricle in mind when you look at the MRI. So MRI fibrosis is not only in the atrium; it's everywhere in the heart. Last, but not least, how this became a target. That's a slide that all of us in EP — a lot of you know more than afib and EP by now, because you go through stages to get to afib; you go through flutters; you go through SVTs and so on — but we, in EP, on all these arrhythmias I'm showing on this slide, our success rate to ablate this, any lab in the world, any lab you go to, reports 98% or more success rate, even VT ablation. To terminate VT, we know exactly where — we map the VT; we know where the scar border is. It's all based on anatomy and electricity together. So you see the AVNRT, we know the area to go to. Flutter, typical flutter, we know the area to go to. Accessory pathway, we know the area to go to. This is a VT. We know there's a scar in the ventricle — we map the border scar, and we try to ablate this. [01:12:00] There is data coming from actually Andrea's lab showing that you have to encircle the scar from outside, inside, to have a better outcome. So you go after the scar; don't only map the VT. So EP and anatomy comes together. You always have a success. Andrea showed this slide. This is our most famous slide from Cleveland, I think. He's still showing this 15 years later, by the way, and me too. I'm honored to be a first author on the paper too. I'm not sure Andrea remembers the numbers there. We published 92% success rate. We followed the patient for two weeks in that paper, and we presented this paper at American Heart. Everybody said, "Are you kidding me?" I said, "This is the real data." So we were ablating here, and this is what, when we saw patients start coming back six weeks later, eight weeks later, in Cleveland. The blanking period, by the way — I'm not sure people remember that, but in Cleveland, we defined the blanking period because we realized you have to wait three months before you know. [01:13:00] What we realized, yes, the success rate was 95% or 93%, persistent or paroxysmal, because we're doing one component of the afib ablation, and this was the PVI. And then people would come back. This is the example. That brings me to the next slide, which is . . . Andrea showed some of the rotors and concept. This is from Michel Haïssaguerre; it’s a Pierre Jais slide – he gave it to me. This is the Utah fibrosis mapping here, and this is here the rotors. He's showing that these, more and more, seem to anchor on the sight of fibrosis. So it is anatomy and fibrosis coming together. Again, this could be non-triggers that Andrea is talking about, coming from here, from somewhere else. Some other people are seeing it as rotors. Sanjiv will talk about this in detail. What I'm trying to say, this substrate should mean something. How to use it, that's the question. This is another slide. It's showing you all these rotors that anchor on this fibrotic tissue. [01:14:00] This is again from Pierre Jais. So this is the next slide here, rotors and fibrosis again. This star should be here. Again, this is a slide from Dr. Mahnkopf doing the Topera system, which Sanjiv is going to talk about. The same data has been presented by Dave Wilber from Chicago; you're going to hear from him tomorrow. He’s looking at this fibrosis and the anchoring of these rotors on these areas around the fibrosis border they're taking advantage of — it seems to make sense. Actually, in these labs, they are using Topera, which Sanjiv is going to talk about, and the other ones. So this is the areas where the ablation is done, from Mahnkopf, the one I showed you before. You see they ablate these areas. They did some PVI on this patient. You can tell there's too much ablation inside the vein. What I'm trying to say, this is a lesion three months after. [01:15:00] If you keep the lesion in that area in this patient population, it seems to superimpose. It covers the fibrosis as well. The outcome seems to be promising, but again, it's only three months' full of data. So based on all this data, this has been doing this since we presented DECAAF1, it's time to encircle and do more ablations. We do, obviously, the pulmonary vein antrum isolation. We color our veins when we cut them up way wide so we go way outside and do a lot of lesions here. We never do one single line. But we take this area seriously — we try to encircle that area and then cover it with lesions as well, as you see in this slide. The residual fibrosis from DECAAF — this is the quartiles, four quartiles — the amount of scarring that is left behind seems to predict outcome. So I have to go now to next stage, how we can make this 100%, not only 36% success. So hopefully by covering more fibrosis, the outcome will be better and improving. [01:16:00] We're trying to do this in a multicenter study as we speak. This is the DECAAF II study, which we want to do as prospective randomized, looking at pulmonary vein isolation in persistent afib patients versus covering the fibrosis, or ablating it, like this one, versus doing fibrosis target ablation. Obviously, labs will probably be inducing at the end of the procedure, to see if there's non-pulmonary vein triggers and other stuff, but that's the simplified study, trying to understand in advanced stage of disease, does this really help in a way, or seeing something else that we're missing? We're going to monitor the patients as continuous monitoring with the mobile devices, and it's at 12 months follow up we start looking for afib and other stuff as well. So this is something we're doing, as we speak. So in summary, I hope to convince you to complete the puzzle started today with the balloons and Andrea's extensive experience. [01:17:00] You see that we're still looking for answers. I tried to convince you that the substrate, specifically atrial fibrosis — there's a whole lecture on the ablation substrate that we initiate, and there's a whole lecture on the drug's effect as well; I can share with you another time — plays an important role. You’ve seen this before, that that's a component we can't neglect; we have to target; we have to keep it part of our procedure. What we're doing here, we're trying to show it, hopefully to improve outcomes. I don't want to use the words "avoid second ablation," because it depends where you go — people aren't going to second and third, but it should be done in some patients. But at a certain point, we should say, "This is difficult, hard to deal with." Last, but not least, I hope we can start using this. It may prove, maybe not, but at this point, the data from our labs and others has been showing that, as Andrea said, prospective studies are important to prove the concept. That's why I've been trying to implement this as a treatment target with a prospective study. But at this point, we can't neglect the fibrosis in your heart. [01:18:00] Take a look at it, what it means in terms of outcomes. It's clear data from endocardial mapping, from epicardial mapping, from multiple labs already. Last, but not least, physiologically, it seems to be an anchor for problems, or maybe a source for triggers, because this tissue is not clean scar; we call it dirty scar, inhomogenous scar. That's different than the ablation scars. So keep this in mind, leaving this room today. Thank you. Sanjiv M. Narayan: Please, have a look at my disclosures. I usually start off by saying there's a lot we don't understand in AF. So we have to start off by looking at what we think we do understand. So I usually start off with my St. Louis slide, which I put in in particular because Dr. Damiano is in the audience. For those of you who have been to Missouri, where I did my training, Missouri is the "show me" state, so named because in 1899, Congressman Willard Duncan Vandiver said, "I come from a state that raises corn and cockleburs and Democrats, and frothy eloquence neither convinces nor satisfies me. I am from Missouri. You have got to show me." [01:19:00] So for those of you who don't know, that's a cocklebur, and that's a Democrat. So, am I allowed to show this slide in Texas? I thought so. It doesn't go down so well in Boston. So I'm going to talk about five basic topics. (1) What's ablation? Why do more than PVI? Andrea discussed this in detail. (2) A real case of a difficult-to-treat patient with afib, who we really got started with this thing we called (3) FIRM ablation, F-I-R-M, which I'm going to discuss next, which is identifying little spots, hotspots in the atria, which we think drive the chaos. (4) Then, we'll wrap up by talking pretty briefly about the results, which are still relatively early, although promising, and now I think probably in the order of 600–700 patients published. [01:20:00] If you include different techniques, probably that's more than, maybe pushing, 1,000 including patients that'll be presented at the Heart Rhythm Society. (5) I'd like to wrap up with an important topic that Mellanie asked me to discuss, Am I a candidate? What sorts of things do I need to think about if going for an AF ablation? And how do I choose follow-up, and so on? So you have a regular rhythm, which will be sinus rhythm. Over here, you've got irregularity, which we call afib. 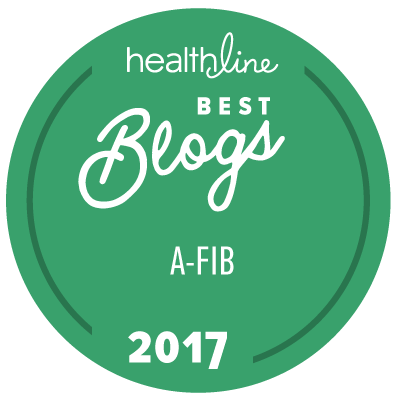 There are reasons we call it afib and not something else. It starts from this trigger beat. So as Dr. Kowal and Dr. Natale both said, these triggers are important. What they end up doing is causing the rest of the afib. [01:21:00] So the approach, of course, has been to identify those triggers. They're often in the pulmonary veins, often outside. The standard of care is to ablate them near the veins. This figure is a bit wrong — apologies, it's an older slide — but you don't ablate in the veins; you always ablate outside. Anyway, when you've done that, then you end up with your PVI procedure. The triggers in the veins can't get out of the veins. They can't trigger the afib. You shouldn't have afib. So does that work? So the real question is…We know that it works in many patients. Why doesn't it work in everyone? So, this is the sort of slide you've seen before, the after one year, two years, the result, whatever they are, 50%, 60%, 70%. How can you do better? First of all, are these results shown in many studies? They are. So you can look at many studies showing that kind of figure, 50% to 70% at one procedure. The question is, some of you may be in that group where you've had a tremendous success after one procedure. [01:22:00] What about other patients? Why aren't they in that group? How do we get a higher success? The one thing that we typically do is we are looking for those results. We often hear 70%–80%, the results that can be achieved, but the method of achieving them is often to do a second procedure or a third procedure. Is there a way — we don't know yet, as a community — is there a way that you could encompass some of the ablation we do in that second and third procedure and wrap it into the first? Now maybe there isn't, because maybe every ablation lesion has a chance of eventually healing, so that the afib could come back. But maybe there is a way that, if we target it in a more accurate way, tailored to each individual person, we could increase that single procedure's success rate and push it up. That would be the goal. That's really what we've been focusing on in our group. Now, it's important to know that when we think AF has gone away, it sometimes hasn't. [01:23:00] This is a patient I saw in San Diego a couple of years ago. He'd done very well after his ablation. His afib was gone for two years. We got a series of ECGs, all showing no afib recurrence. He had had a pacemaker put in for another reason. He left my office, and he was very happy. We were high-fiving. He went next-door to get his pacemaker interrogation and, lo and behold, we found that he was actually in afib while he was telling the nurse how great he was in sinus rhythm. So we know that we have to be very careful about declaring success. Okay. So for all those reasons, how can we decide what to ablate to improve that success rate? So this is a figure which is complicated, but it just gives you a sense of what we can look at. This is from our society, the Heart Rhythm Society's, main paper on what to do for AF ablation. You've got the atria. This is the left one here, on the left side of the panel. [01:24:00] This is the right one here, on the right side of the panel. These are areas outside the pulmonary veins. As you know, the standard of care is to do pulmonary vein ablation. What else can you do? Well, one option is you can tackle these yellow blobs. The yellow blobs are nerves which are present in every patient. Some people have shown that they're important. So that's one option. Another option is you can identify spinning tops, which I'm going to show you we have tried to do, and we've done, which might be important in some patients. We've shown them to be important in many groups, which may be in certain regions of the heart outside the veins. The third option is you could identify these focal hotspots, a bit like a spark or a trigger in the night sky, like a pulsar that's just firing. Can you identify those? The problem with this is there really are not many tools to find them. [01:25:00] I showed you a figure of a catheter that we put inside the heart, that's got really four electrodes on it. We often use two of those. So that's really what we've been using a lot to find where these hotspots are. Are there better tools to do this? Well, at the moment, we haven't found them exactly. So what we often do is we try to cover the ones which we think are relevant, which can lead with a substantial amount of ablation. It may be necessary. There may be ways that we could cut down on that if we could find specifically what they are. So I'm going to show you a case of a patient where we did that and use that as a basis to try and understand afib in more patients. So this is a real case of a chap, very difficult-to-treat afib. This was a young man. I can say that because I'm older than him, by far. 47 years of age, persistent afib for many years. This was a few years ago. Really had significant problems. [01:26:00] He was actually pretty healthy, but was still going to the emergency room about every month to have electrical shock therapy, which can reset the heart into regular rhythm, because otherwise, he was getting short of breath and dizzy. This was really affecting his life, both his work and his family life and so on. He had a few other problems which were relatively minor. We will talk about those at the end. He had high blood pressure, which is very important to control, slightly high cholesterol, and so on, drank a little bit of alcohol, didn't smoke. So on examination, the details aren't important, but he was okay. Blood pressure was a smidgen too high. He was okay, a little bit overweight, not much. Okay. Now he already had some ablations. He had one ablation with a lot of lesions placed, and it didn't work, unfortunately. This happens to everyone, including my group. We have patients like this. He’d had the second procedure. He’d had a third. He came to me because someone had said, "Maybe what you need to have is a pacemaker and an ablation of the AV node, preventing the afib from driving your heart quickly." [01:27:00] So at 47, he wasn't keen, but that's what he'd resigned himself to do. So I said, "Hold on a minute. We've got a new approach. Do you want to be the first person? Do you want to be that guinea pig who signs up under protocol to have this procedure?" So he said, “Sure." The basic idea . . . Well, San Diego. They're a bit kooky out there. Right. So the basic notion is you've got a tornado or a storm. What drives it? So our thought was maybe there's a source which drives this rhythm. So the source drives it, and you could have tons of complexity around there, but maybe there's a source. So we went ahead and used this new mapping system we had. We put it into his right atrium, where people don't normally ablate for afib, and this is what we found. So this is what we call a rotational circuit, or rotor. It's going around. From this angle, it's counterclockwise, on the left panel. You can see it here. So we found this. It was not easy to do, actually. [01:28:00] We did it, as I'll show you in a second, by putting a floppy basket catheter into the right atrium and doing computational analysis. Once we did that, we burned in that area in the right atrium, and the AF shut down. Now, this is one of my best patients. I typically show my best patients at talks like this, but we've now had this in many other cases. So this was a case of a rotational circuit, a rotor, away from the pulmonary veins where we ablated. AF shut down. We couldn't get AF back again. It was a tremendous case. In a way, it made sense, because he’d had a lot of ablation already on the left. What could be left? Maybe it's in the right atrium. So this is another way of looking at that. I'll skip through this quickly. Basically if you look at this kind of a map, you've got colors which go sequentially around, in this case, from blue, through light blue, yellow, to red. [01:29:00] It’s going around clockwise in that area. So that's what we did. We implanted a loop monitor to really show if he was having afib or not. He wasn't. He stopped going to the emergency room, of course. He lost some weight, went back to work. He was very, very happy. So that was one great case. So how did we get this result? Where did we come up with this? Well, this is one of those examples where the truth was staring us in the faces, like this quote from Mark Twain. "When I was a boy of 14, my father was so ignorant. I could hardly stand to have the old man around. But when I was 21, I was astonished to see how much the old man had learned in the next seven years." So it was there all along. We just didn't always see it. So what was there to look at? Turns out that this is not our idea. This idea has been around for about 25 years, the idea that AF might be caused by a localized circuit, which is sending off chaos. Now, it was shown in animals. [01:30:00] In fact, it wasn't shown in humans until recently. You've got, again, this circuit, which in this case is counterclockwise, going around. In the periphery, there's these chaotic waves. They hadn't been shown in humans, but one analogy would be the eye of the storm. So in 2011, we first presented our data, where we showed them in humans, using this basket catheter I'm going to show you in a second, with computer algorithms we developed to find this through the noise. Here, you can see an activation, which is white spinning around. Now this is obviously one of those great cases I'm showing you. It's an easy one. They're often much more difficult to see. I'm sure the panel could share that experience. We can discuss it. They’re sometimes quite hard to find during a case, but this is a very clean example. Burning up those areas was effective, as I'm going to show you. How do we do FIRM? Well, I've already shown you the normal approach. What we would do is that we'd go in with a catheter, the same as usual, but we would use this floppy basket catheter, which is very, very soft, to actually record the signals from 64 electrodes. [01:31:00] There are lots of systems. Other people are looking at other ways. There's a group in Germany; I just saw their results last week, and they've got something like 256 electrodes in a much denser basket. But the idea is you can map everything at once. You don't have to move the catheter quickly, and you can get some idea. So I thought I'd show you this. So we'd start off. The patient would have to have afib. So if there's an individual in whom we can't get afib started, people who've got really minimal afib, very early paroxysmal, I tend not to use this, because if you can't get afib sustained, it's not going to work. We then put this basket into the right atrium. Don't worry about the details, but this is an X-ray view of that. We then get maps. We burn the rotor sites by moving the catheter within that, and we target those areas. Then we do the same in the left atrium, putting the basket into that one. [01:32:00] Then we wrap up. The standard approach is to do PVI. I thought it might be fun for you to see a video of what it looks like to have a catheter inside the heart. I found this one from a colleague at the University of Minnesota. So this is the inside of a saline-filled animal heart performed under protocol in Minnesota. So what you'll see is, this is the inside of the heart that's beating. This is the top chamber, and this is the area between the two top chambers. This is now the catheter that any one of us on the panel would pass up through the groin, into the heart. We would find that very thin area that's translucent there, which is the interatrial septum, the fossa ovalis. We'd poke a little hole from the right to the left. You’ll see in a second, with this thing crossing into the left. [01:33:00] So this is over on the left. Then when that's in — of course, this is normally filled with blood — but then you'd go and find the area. Finding the electrical patterns is the skill, art, difficulty, challenge, whatever you say. This is just another view of one of the valves in the heart. So that's what ablation is actually doing. That's why this can be very — you need to be in a center, as Dr. Natale said, which does a lot — because there's a lot of ways to move that catheter. You want it to move to the right area effectively. So here's another quick case. Does this result work for a long period of time? This is a gentleman, 61. He was active. He had afib for a long time. He had ablation at another center. AF came back. We did our study. Four rotors were found. So these are usually not one; there's usually three or four of them, rarely two, sometimes five or six. It really depends on how advanced the AF is. I just got an email from him, actually just before Christmas, and he's now — I did him when I was working in Los Angeles; this was two years later — he's still in sinus, and he was very happy. [01:34:00] So again, another great case. I'm typically showing you my great cases. So, how does this work in a large population? So these are the results that we've had, and these are single-procedure success. You can see that, overall . . . On the left-hand panel was the original trial we had, called CONFIRM, where the success rate of PV isolation alone, in red, is shown. When you added this thing called FIRM, we increased the success rate relative to PVI alone. In a way, it's what Dr. Natale said — PV ablation alone is often not enough; if you add something to it, what we added was the rotor ablation. In the right-hand panel, you can see data from a group of investigators, including some members of the panel as well, not including our group, who showed, without a control then, but just looking at a group of patients, some of whom were quite sick, how well one ablation procedure does. [01:35:00] Those are the results. Pretty similar, between the top-right top lines, and the top-left top lines. So, we'll sort of wrap up. Am I a candidate? Are there things we can do? Well, there are always things we can do before we have an ablation. One thing we can do is avoid this trend. So it's not that trend we need to avoid. It's that trend. According to my wife, women have a much easier job of that. So how can this be relevant to afib? We now know, in fact, that it's very important to avoid and control risk factors. This is a study from Australia that was recently published, showing on the left, in the blue line, that if you have an AF ablation without paying attention to blood pressure, weight, and so on, the results are shown. Single-procedure success at one year, 60%. [01:36:00] If you paid particular attention to losing a bit of weight, maintaining blood pressure well-controlled, and so on, you can raise your success by 10%, 15%, or 20%. This is becoming a very important theme in our field — AF ablation is not just a procedure; it's part of a management strategy. The left panel is one procedure success. Blue is without risk factor modification; red is with. On the right is multi-procedure success, the same things. So in both cases, making this part of an overall strategy was very effective. I'll just wrap up two slides. In preparation for any AF ablation, including FIRM, set expectations. It is unfortunately still very common that you might need two procedures, or sometimes more, for an AF ablation. If you're getting ready to go somewhere else for an ablation, to see Dr. Natale, for instance, or any one of us, get your records, MRI, CTs. These are really effective and useful. One of the most important things here is what kind of blood-thinning you will have, and that will be discussed with your group. It's important. If you're planning to travel, plan a sufficient post-procedural stay, and then decide how follow-up will be done. [01:37:00] So there are some FIRM ablation trials, which are ongoing, by many different groups. But at this point, I think I'll probably stop and ask if you have questions, to summarize by saying that beyond AF ablation, to improve outcomes beyond PV isolation, other ablation is often performed. One approach is to ablate these rotors, which have been shown by many groups now, to be sustaining the chaos of afib. There’s typically a few per patient, often in the right, which I think is a very important area to ablate. In early studies, the results are looking good. That's it. Thank you very much, indeed. Craig: One thing I was curious about. We keep saying afib. My understanding is flutter is more right, fib is more left. Can all this be applied, flutter and fib mixed? Are there differences? Dr. Kowal: He wants to know, can you apply everything to flutter, [01:38:00] and the distinction between flutter and fib? Dr. Natale: Yes. So actually they are now mounting data that even typical flutter, as the sole clinical manifestation, is actually a precursor to afib, to the point that there are now probably three randomized studies in patients presenting with flutter showing that if you do the PVI, you have higher chances of keeping these people free of atrial arrhythmia at follow-up. So even flutter is a manifestation of triggers from the pulmonary vein. I think it's sort of a stage of the disease where the afib bursts are short, and you don't document them, and you see the flutter as the result of the short bursts. Then if you wait long enough, depending on the different patients, eventually afib becomes sort of an independent clinical decision. We also have a study of patients that have ablation, where the recurrence was flutter, not around the vein and the potential sources, [01:39:00] but a simple perimitral flutter, isthmus flutter, where ablating the flutter only doesn't really fix the problem. You need to kind of find the source of that flutter. So there is a relationship between triggers, which means fib, and flutter as well. Craig: So, a follow on…I've heard recommendations for doing a right-sided procedure and then coming back and doing, if needed, a penetration and a left-sided. Does that make sense to you? I think once these three papers sort of digest, I think, especially in younger people probably, that will become a more accepted strategy, especially as it becomes clear that just a standard pulmonary vein is a very low risk of complication so it doesn't really increase the risk of the procedure if you do that as a first-line approach. Right now, I think the people, we go by whatever is documented clinically. Dr. Kowal: I think one of the dilemmas you have, just for the crowd, atrial flutter, if you've never had a procedure before, 95% of the time is a very organized short circuit around the right valve that divides the right atrium from the right ventricle, called the tricuspid valve. It can coexist, not at the same time, but with patients who have atrial fibrillation as well. The problem is many of the drugs you use to treat atrial fibrillation make atrial flutter a more persistent problem. [01:41:00] So atrial flutter is almost always managed by ablation, which is very high success rate. Then you have to kind of talk about the pros and cons of doing an afib ablation at the same time or doing it staged. I think you'd probably get a different answer five years ago than you'd get now, because of people's experience. Evie: First of all, excuse my ignorance as far as fibrosis. Is the fibrosis already there because of old age, and is it exacerbated by the lesion, and has stem cell research ever been considered for reparation in that area? Dr. Natale: Nassir should be the one answer this. What it will show you is a progression that is independent from the lesion. [01:42:00] Actually the point that he made is that the good ablation lesion is what you need. The fibrosis shows something that cannot extend beyond the location of the lesion. It's just a sign of a progressive disease that some of these patients have. So it's independent. The other sort of message is that the people where there is a progression of the disease are people that, in my experience, have recurrence, even beyond the fact that the pulmonary veins are properly isolated, just because the disease progresses, and there are other triggers that show up at different sites. Is that correct? Evie: And the stem cell? Dr. Marrouche: Stem cell treatment, that's great if we can get there. We need to find a way. That’s what all the sciences are trying to do now. The good news here is that we can see this from outside. At least we can predict it from outside. Now we have to figure out how to stop it from progressing. And who's the patient who progresses versus the other who doesn't? [01:43:00] What does it mean, long-term, beyond just stopping afib, in terms of outcomes, in terms of mortality, and stroke risk? There's data showing that the fibrosis itself — we presented this; not us, some people from Europe, presented this at ACC just a couple weeks ago — that the fibrosis seems to predict cryptogenic strokes as well, which is a diseased atrium. So it seems to be a more independent factor, but that's why we need to come up with ideas how we can reverse that. Coming back to the initial part of the question, age is a predictor. Yes, hypertension seems to play a role. Obviously, we have a lot of risk factors, and Sanjiv put the list together. So, we're trying to understand now, does what Prash Sanders showed in his model, animal model, that if you do a risk modification — actually, that's in humans as well — modify the risk factors, you can lower the afib burden in these patients. So, we're trying to understand, [01:44:00] does it affect fibrosis as well? He's saying yes. Does it reverse fibrosis? But we think that if the scar is there, as shown in the biopsy, it's very hard to reverse it, so we need to come up with new ideas. Stem cell. We have to wait for this to work in the ventricle first, before we go to the atrium, but there's a lot of ideas can be triggered. But the good news now, we can at least see it and monitor it. Evie: Thank you very much. Dr. Narayan: I just had one point. It's not inevitable that fibrosis goes with age. It’s related, but there are data, the PLANTINO paper, that in fact it could be related to the amount of afib. So I think that's important. Evie: But you see it when you have the MRI, before you've even had the ablation, you will see it, will you not? Dr. Narayan: Yes, you should see it. It's not that it’s inevitable in every person. It's controversial, but there are data to suggest it's not just going to happen. Dr. Natale: Yeah, we actually have some preliminary data that there are certain genetic . . . [01:45:00] You can look at genetic predisposition in different ways. There's something, called SNPs, that looks at specific sequence; there are specific sequences that are more prevalent in patients with fibrosis, so it could be maybe genetic. Who knows? It could be a genetic predisposition to the way the body reacts to a virus, for example. Dr. Narayan: It's more articulated. Dr. Natale: So there are a lot of things that are going on in this area to sort of understand. I think we all agree fibrosis is bad. With Nassir's study, there is a good way to find out. Until then, we would find out about the scar when we do the procedure. Now there is an opportunity to find out that before. That also gives an opportunity to follow those patients. [01:46:00] Nassir is doing it. You can re-image them and see if this is something that is static or not. As Nassir showed you, in some patients, it's not static, and what that means for the patient. Evie: Thank you very much, gentlemen. Dr. Kowal: The other thing I'd say, not to be too much of a downer on stem cells, but the one area in leukemia treatment where stem cells don't work is when the bone marrow is fibrosed, so it's a tough problem. Dr. Natale: Also, with stem cells, where we are now is the inability to make those cells to talk to the existing myocardium. We've seen this in models of heart attack, where actually stem cell injection increased the risk of, and triggered, tachycardia because this created more patchy scar distribution with now more functioning cells. But what we cannot control still with stem cells is how to make those cells connect properly with the existing cell. [01:47:00] This is something we have not figured out yet. Frank: I've had two ablations. My last ablation was a hybrid. I was under about 10 hours. It worked pretty well. It's been a few years. I was the first one. Now, he has been hesitating about taking something other than Coumadin for my stroke risk. He’s saying that he didn't want to do that because there's no antidote for it. Dr. Natale: What I said about the hybrid is that, as you said, it's a 10-hour procedure. When you look at the big picture, it doesn't change the success. [01:48:00] So do the surgery, because the surgery alone could have worked. So that's what I meant. But for the antidote, it's not really true that there is no antidote. There is no specific antidote, which is actually being developed. There is a company, actually in Oregon, that has actually already human data that the antidote that they are developing can reverse the effect of the new anticoagulants, Factor Xa specifically, in two minutes. Two minutes, 90% is completely abolished. Said that, the reason why companies cannot advertise about the antidote is because to do that, they need to do in US a study with the FDA. It’s the same things with afib ablation. They cannot advertise about nonparoxysmal because the tools that we have are approved only for paroxysmal. So the same is true. There are actually studies showing that there are factors that we use — [01:49:00] the most popular one is called Kcentra, or PCC 4-Factor — that actually reverse the effect of Factor Xa in about 20 minutes. The effect is not durable, lasts for several hours, but then you can re-administer it. By that time, the effect of your blood thinners, because of the short half-life, is probably gone anyway. So there are reversal agents. Obviously, what people worry about is a major trauma. In a major trauma, it doesn't matter if you are taking the new one or the Coumadin, because you're going to be in trouble anyway. Mortality on blood thinners with major trauma is very high, not because there are not reversal agents, just because things happen so quickly that it becomes difficult to sort of control. So, it's not entirely true there is not an antidote; there is no specific antidote. [01:50:00] It’s being designed, but what we have is good enough. In fact, we do this procedure on uninterrupted Factor Xa, and we would not do that if there was no antidote, there was no way to reverse the effect. Dr. Narayan: I would add to that and say that I agree that there's a lot of fear about the new oral anticoagulants. But in fact, if you look at many of the studies, then the risks of bleeding are the same or a bit less than on Warfarin, Coumadin. In fact, the risk of brain bleeds, which is the one thing that you could argue is the worst kind of bleed, is actually often lower with the newer agents. So I would agree that, particularly if there's no risk of trauma, of course, it depends on each individual person. You should not be that worried about it. Dr. Natale: First of all, exercise is far more important. Actually some of the data that has been shown about lifestyle modification speaks to the opposite. Obviously, you're talking about people who sort of go to the extreme. There is this perception that increased risk…When we look at that — actually, we looked at that also in astronauts because there was this perception astronauts have to be very fit — actually, the prevalence overall is the same. What it changed is the time of manifestation — these people tend to have it earlier. So it just changed when this happened in your life, probably, but doesn't change. See remaining minutes of the transcript here.